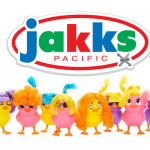 JAKKS Pacific, Inc brings you another collectible toy which makes the perfect gift for those children who love collectible blind bag toys. 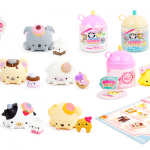 The line of scented, “slow-rise,” Squish-Dee-Lish characters are an amusing combination of adorable animals and delightful foods. 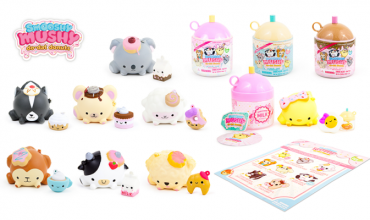 Designs include a panda on top of pancakes, a sherbet bird, a pear bear, and so many more creative combos! Each Squish-Dee-Lish figure is sold separate and wrapped in a blind foil bag. All you have to do is squeeze them and then watch them rise back into their original shape, over and over again! Each new friend fits in a child’s hand and makes for a cute new collectible. 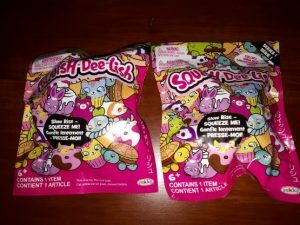 The fun thing about Squish-Dee-Lish, compared to other brands of foam squishy toys is that Squish-Dee-Lish come in blind bags, so children will not know which one they have until they open the bag. It’s a surprise every time. This makes collecting them even more fun. If you have a child obsessed with bling bags and squishy toys then Squish-Dee-Lish blind bags are a win. Have your kids discovered blind bags? 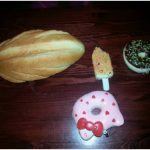 And while we are on the subject of blind bags be sure to read: A ten point guide to buying blind bags for your kids by Amy Flory. I am sure you’ll relate! 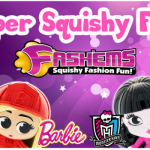 Primarily targeted to girls ages six and older, Squish-Dee-Lish™ Squishies are available now at all major retailers and make the perfect stocking filler. 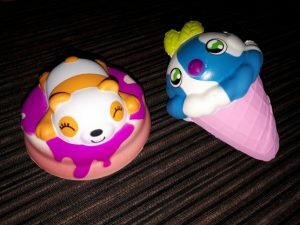 While Squish-Dee-Lish may be marketed to children, they make great stress relievers for the workplace or home office too. JAKKS Pacific also sells huge ‘Jumbo’ editions. We are actually saving one of those until Christmas, but I can imagine how fun those will be to squish. 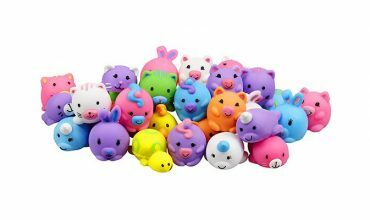 All the kids love their squishies, they are a great stress reliever as well!! Love the element of surprise with these! These are adorable and so squishy!